Research and compare private and independent schools. Find day and overnight camps by location and session dates. Explore year-round, after-school and holiday programs. "I refer my clients to OurKids.net all the time. It's a practical resource for parents to examine and analyze their choices." "Our Kids makes it easier for parents to navigate the choices they have around schooling. It's an excellent resource." Choice. Opportunity. Success. These three words are synonymous with a private school education. More than ever before, private schools are open to families of all economic backgrounds seeking an alternative to a traditional public school: a solid educational foundation on which they can build their future. At OurKids.net, we can help you realize this future for your child. We offer a comprehensive and in-depth look at private schools: from individual profiles of over 300 schools, to information on the different types of schools, how to choose the right school, and how to pay for tuition, our library of resources makes Our Kids the most trusted source when it comes to private schools in Canada. It's no surprise camp stories often weave themselves into many children's best life experiences: camps provide the perfect setting for enjoyable learning through hands-on experiences, co-operative tasks and unique challenges. And for whatever adventure or passion your child wishes to explore, there is a camp available to meet your needs: sports, arts, drama, adventure, outdoors, special needs, etc. 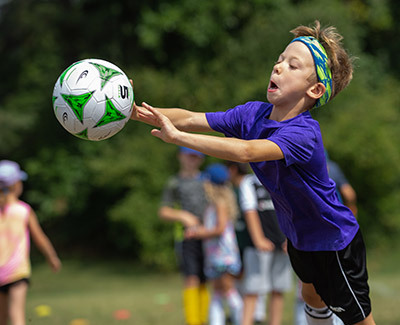 Camps across Ontario, Quebec and British Columbia cover a wide-range of activities that will build confidence and self-esteem, foster personal growth and create long-lasting friendships. Our Kids Private School Expos are the easiest way to learn about private and independent schools in Canada and abroad. You’ll be able to meet with schools, speak to them directly, and get the information you need about the best schools for your child. RSVP to get a 50% off ticket to the Expo. Our Kids Camp Expo offers access to dozens of camps, their staff and the opportunity to find the camp for your child to grow. What will your kids learn this March break & summer? Get your family admission tickets to the Toronto Camp Expo and find out. RSVP to get a FREE family admission ticket to the Expo. Year-round programs can teach your child new subjects that aren't offered in school or expand on those offered in their curriculum. Pottery, computer science, creative writing, sports and more: these valuable programs can teach kids about themselves and often serve as the path to a future career.